Flush boarded pilasters flank entrance. Summer beams exposed; lambs tongue chamfers; gunstock posts on 2nd. floor. Area originally known as " Yeoman's land ". Israel Putnam and his brother Joseph Putnam were from Danvers, MA and had purchased land in Andover for Asa Kimball in 1776 and 1792. The brother divided some of the land between each other. Israel Putnam and his wife Mary lived in this homestead. It is believed that Pearson may have rented the farm before purchase. Joseph Pearson of Wilmington purchased the from from Israel Putnam on Dec. 19, 1823. Joseph Pearson then acquired several other small parcels of land. Pearson had borrowed money from Mary Foster, who held the mortgage deed. Upon Foster's death her estate, Administrator Jonathan Griffin was settled with Pearson on Jan. 23, 1833 who paid $150 mortgage release. Joseph Pearson died intestate and his estate was administered through Probate by his son Joseph J. Pearson. Hannah T. (Peasron) Bancroft, wife of Albert and daughter of Joseph Pearson bought the family homestead on May 10, 1852 for $295. Hannah T. Pearson, held the deed. Her husband Albert Bancroft b. Mar. 7, 1819 was from Reading, MA and died on Jan. 6, 1896. Hannah T. Bancroft b. Feb. 21, 1819 died on June 14, 1897. The property then 14 acres, went to her two daughters, Jennette E. Rawles, b. 1856, wife of Joseph A. Rawles of California and Alice M. Cheever b. 1851 who married George Cheever. She was born in the home. Jennie E. Rowles sold her half share of the property to Alice in June 1909. George died in December 1925 at age 74. Son Fred E. Cheever b. 1889 lived in the home with his mother until her death in May 1952. 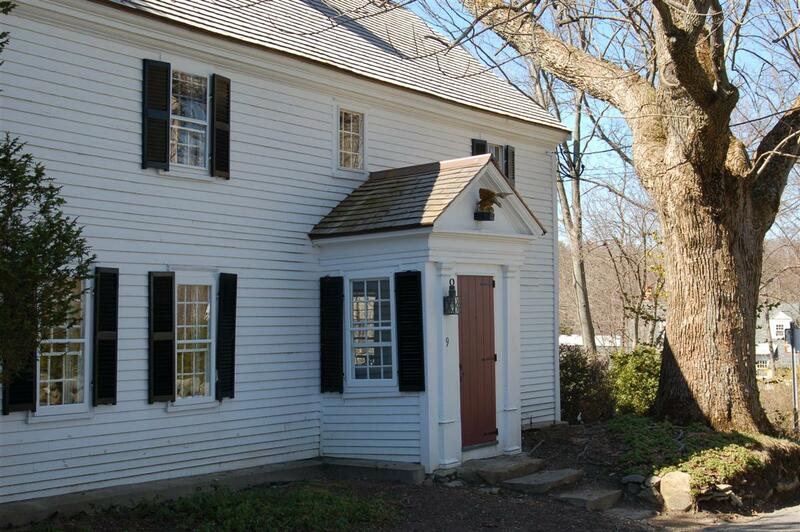 Fred E/ Cheever was a Real estate agent and developer of Johnson Acres off Elm St. He also served a Andover Postmaster in the 1930's. 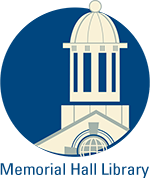 Cheever was a member of the Andover Historical Society and the Cheever Room is dedicated in his memory. Frederick died on April 24, 1975 at age 86. He never married. (Owned by decedents of Joseph Pearson to 4th generation). 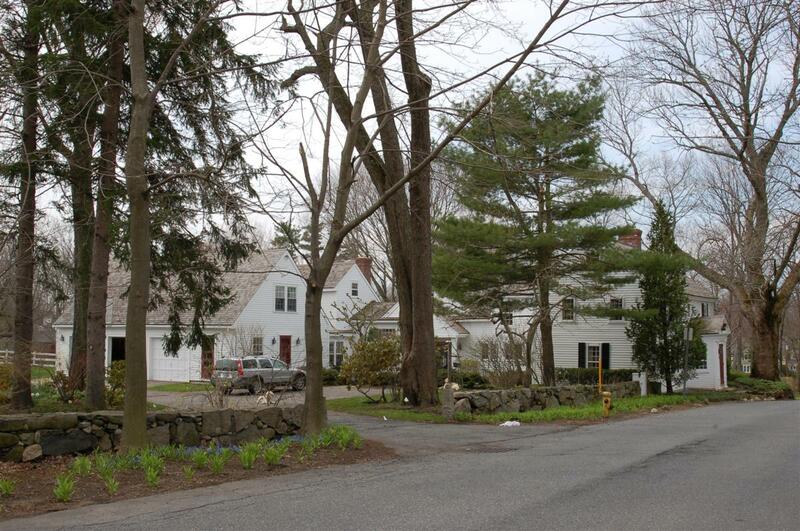 The home was then purchased by Dr. Richard O'Hara, who lived across the street at 10 Bancroft Rd. 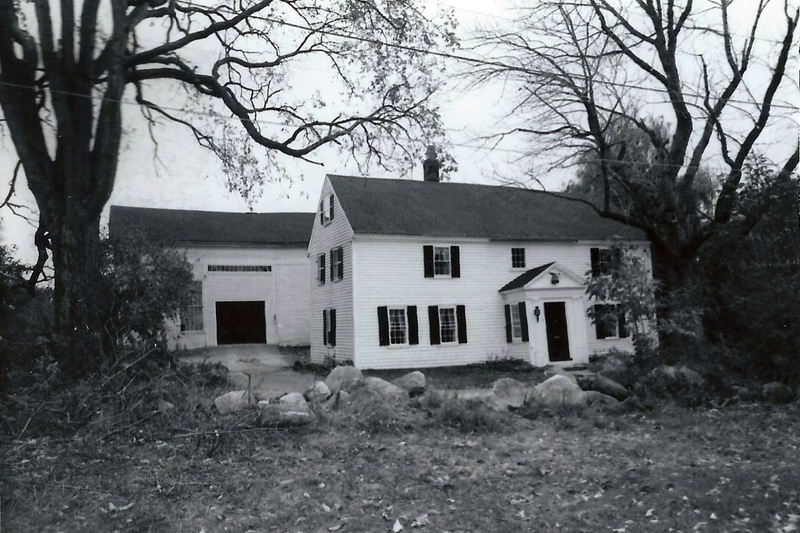 O'Hara sold the property with 4.58 acres to the Vaill's on Nov. 2, 1976. House originally faced south, but when the old lane that divided the Bancroft farm was made into a public way in the 1890's, for the water reservoir (next to Bancroft School), the front entrance was moved to face Bancroft Road. The house was made to face north by moving ell from north to south and entrance vestibule turned from south to north end. Bancroft Rd. was called Reservoir Street until 1904 when the name Bancroft Rd. was adopted. 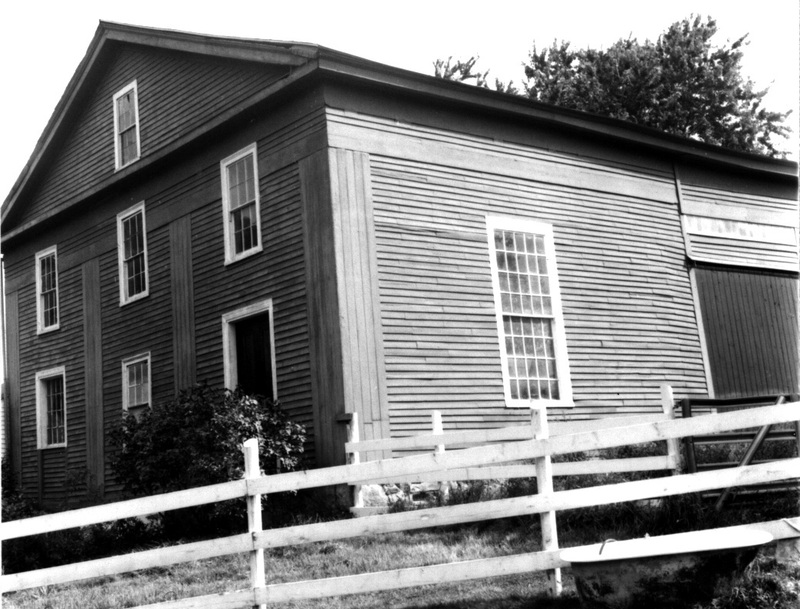 The former barn that was connected to the house was the former Universalist Church 1839 - 1865 and then converted into the Andover Grammar School 1866 - 1878. a Middle School-Jr. High The Universalist Church was built 1830's on the NE corner at 96 Main St. & Punchard Ave. 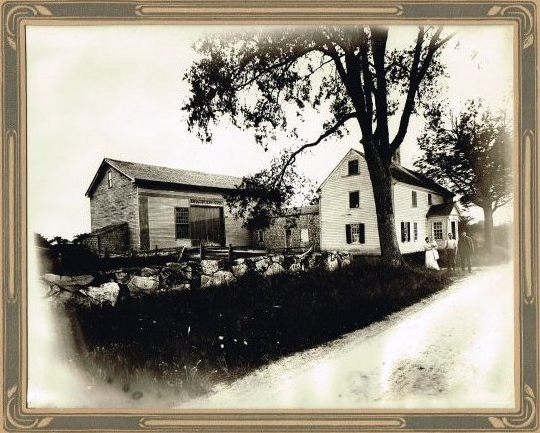 In 1890 this was sold, cut in half and moved here by 26 yoke of oxen to become barn for the property. The vaulted ceiling, two classrooms on the upper floor and period wallpaper were still intact in 1986. Samples of the wall paper and inter photos are now in the collection of the historical society. 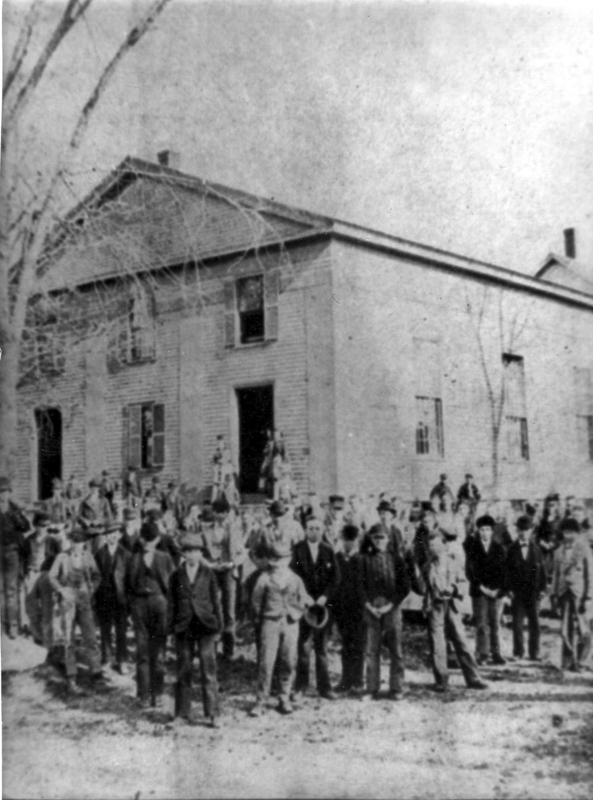 In this same building, when it stood on Main St., some of the first meetings to organize abolitionist Free Christian Church were held, and their earliest services held here. 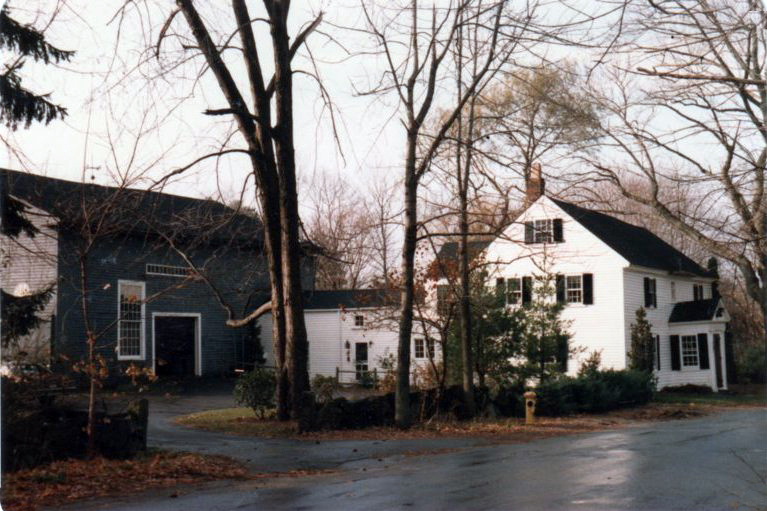 The barn was demolished in 1986. New free standing barn was built in 1987. Frederick E. Cheever estate, Anna M. Greeley, Extx. Acreage 4.5 acres; approx. frontage 376"
1986 as barn on Bancroft Rd.